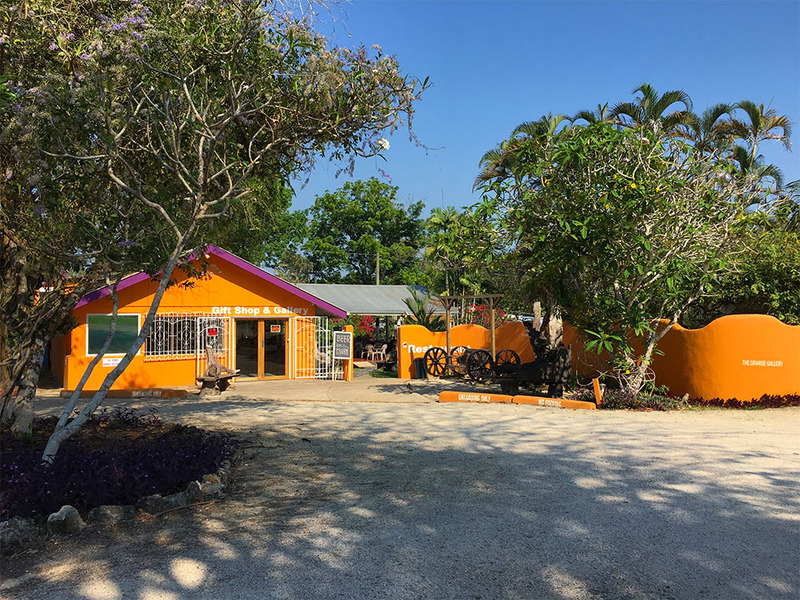 The Orange Gallery is a family run business located at Mile 60 George Price highway, Floral Park, Cayo District, Belize. 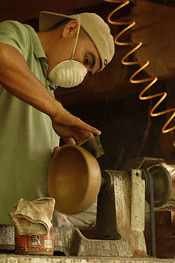 We’ve been making and selling wooden products and jewelry since 1979. Over the years our product line has grown and now we're offering the world our products by way of the internet. Orange Gallery products are one of a kind. They are hand crafted and made of the finest materials available, and as such, are not mass produced. While it may be a limitation, making unique products has given us a competitive edge in the market place. This is why we strive to create a line of products you won’t find anywhere else. We wholesale and retail. However, because our products are all hand made, we don't produce in large quantities. In the past, we’ve approached Sears & Roebuck and Pier 1 Imports to be our outlets, and even though they were eager for our products, their first order was for more than we could produce in three years! Through his years of traveling, my dad, Caesar Sherrard, made jewelry by hand from seeds, semi-precious stones, copper, silver, and gold wire, and generally anything that was to be found in the country he was in. He would sell and trade his hand-made jewelry and used the proceeds to continue to travel the world. In the early 70's, he arrived in the USA for the first time. There he met my mom and taught her how to make jewelry. They traveled the USA to different trade shows where they'd buy and sell jewelry and art and crafts. In January of 1976, my dad, Caesar Sherrard and our family arrived in Belize en route to Costa Rica. He was looking for a peaceful country to raise a family and Belize seemed like a serious possibility. The magic of Belize was enough to convince us to stay a bit longer — we never left. We purchased 40 acres on the Macal River, 10 miles upstream from San Ignacio and Santa Elena, and began farming vegetables, chickens, and goats. Dad bought a dug-out canoe (called a "Dory") and an out-board motor. By this means, we'd take our produce to market every Saturday morning. We'd sell our produce at San Ignacio's "Saturday Morning Farmer's Market", buy provisions for the following week, and then head back upstream to our farm. As farming became even less profitable and I got closer to the age when I'd need to start school, he realized that he'd have to move to town and had better figure out a way to pay for my education. So, bit by bit, we got involved in wood working. With no training, learning from mistakes and scrambling to find a market for our products, we started manufacturing "Mahogany crescent-shaped moons" with an imported Austrian crystal hanging in the middle. They were beautiful! When hung in a window, sunlight would get refracted by the crystal and throw a rainbow of color through-out the room. Its crescent shape allowed the wind to spin it around and crystal and rainbows would sparkle around the room!